3. their smugness will ultimately lead to the nation’s final demise. The low expectations argument is a restatement of what the happiness economist Caroline Graham calls the ‘happy peasants and miserable millionaires’ paradox (see, for example, here). According to her, our happiness set point can be a function of our surroundings. 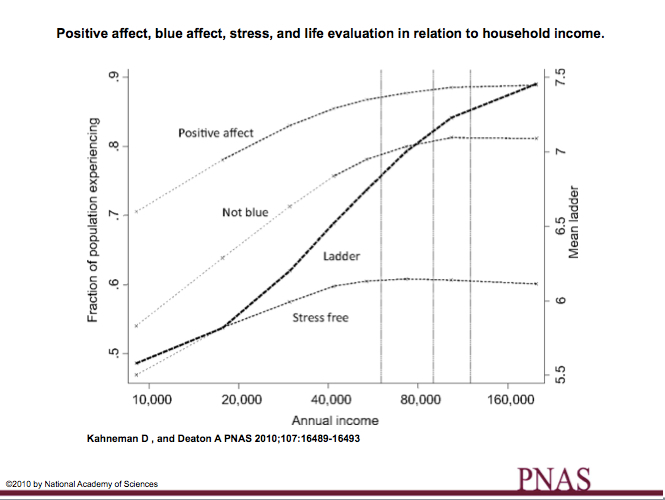 While the research confirms the stable patterns in the determinants of happiness worldwide, it also shows that there is a remarkable human capacity to adapt to both prosperity and adversity. Thus, people in Afghanistan are as happy as Latin Americans – above the world average – and Kenyans are as satisfied with their healthcare as Americans. Crime makes people unhappy, but it matters less to happiness when there is more of it; the same goes for both corruption and obesity. Freedom and democracy make people happy, but they matter less when these goods are less common. The bottom line is that people can adapt to tremendous adversity and retain their natural cheerfulness, while they can also have virtually everything – including good health – and be miserable. Indeed, an individual’s happiness set point can not only be a function of relative health, wealth, beauty and so on relative to one’s peers but also the same yardsticks measured against one’s past life. So how about the Greeks? Are they adapting to their new straightened circumstances? According to OECD data, the answer must be “no” or at least “not yet”. From the “How’s Life in Greece, May 2014” survey, life satisfaction comes in at around 4.7 out of 10, which puts Greece at the bottom of the OECD (here). 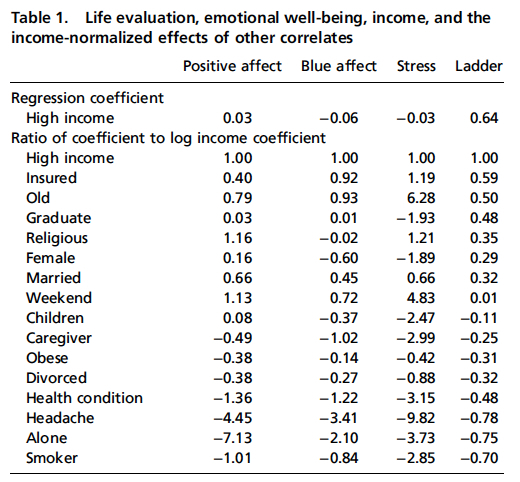 Further, while life satisfaction can be dubbed a function of the remembering self (when I sit down in a chair and think of my life, am I satisfied), people’s happiness as also related to their experiencing self (using the Nobel prize winner Daniel Kahneman’s terminology– see my post here). In short, am I cold, hungry, stressed, anxious , sad and/or in pain; or am I warm, replete, joyful, relaxed, rested and/or content? The OECD reports that only 52% of Greeks report having more positive than negative experiences in an average day (the lowest in the OECD) compared with an average of 76%. For Greece to live with long-term austerity, Angela Merkel and the Troika must believe that Greek happiness indicators must, in the course of time, reset upwards. Unfortunately, they haven’t been reading the happiness literature in sufficient depth. While life satisfaction can adapt, adaption is generally a reaction to a set of circumstances that you have grown up with. Such forms of satisfaction lack what Graham calls “agency” or “the capacity to pursue a fulfilling and purposeful life”. And once you have tasted “agency” you don’t want to lose it. The appeal of Syriza, and its slogan of “hope”, is its potential to restore a degree of agency to the Greek people. Whether they can deliver this agency is a different question. In reality, income and wealth bestow a high degree of agency since they give us the financial wherewithal to make choices. However, agency can still arise from non-financial means, such as having the ability to adopt a non-conventional lifestyle, move from one area to another, change career, better one’s education and gain access to art and culture. To stop disillusionment setting in, Syriza will have to put much effort into the fostering of such sources of low cost agency. Happiness can be viewed from other vantage points too. Many scholars of happiness have identified eudaimonia as a source of happiness. This is sometimes described as human flourishing, but I prefer to view it as the sense of participating in and contributing to something greater than one’s own life. Past political movements have tapped into eudaimonia to give their followers a sense of shared propose and even destiny–sometimes, of course, to disastrous effect. However, at its best, it can be a fuel for transformational social movements that enthuse and enrich those advancing the cause as much as the final beneficiaries. Alexis Tsipras has certainly given Greeks a vision of change that could stimulate eudaimonia, but whether this can morph into a philosophy or ideal that has some staying power beyond the post-election honeymoon is a different question. 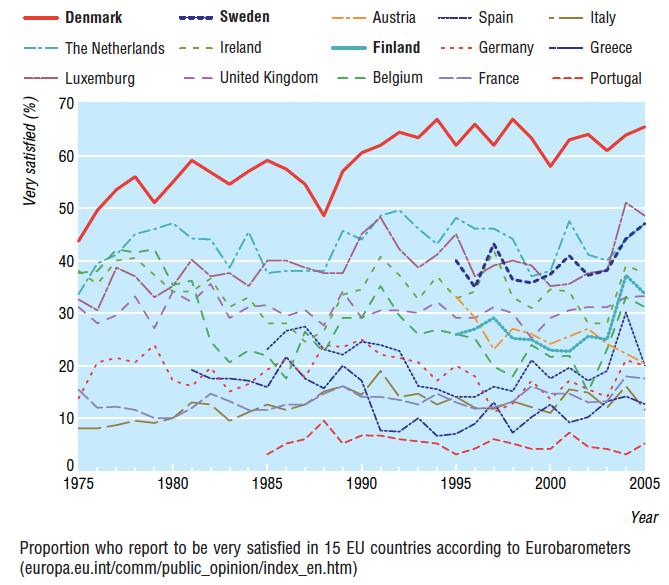 Meanwhile, for Danes seeking eudaimonia, a temporary move to Greece would not be a bad idea. But remember that the Danes always have the option of returning to Denmark and restocking on more mundane sources of happiness. The Greeks don’t. When new acquaintances learn of my interest in climate change, most try to change the subject; but when they learn that I used to be very active in financial markets, they often become engaged in the conversation and ask questions on economics or investment. Why should the reaction be so different? I have always been fascinated about the psychology behind financial markets, a field of study that was given the economics profession seal of approval when Daniel Kahneman won the Nobel Memorial Prize in Economics in 2002 (for the best business/economics book of 2012 read his Thinking Fast and Slow). Psychology helps explain why individuals, or groups of individuals, frequently act in certain ways that is different from the profit-maximising model underpinning neo-classical economics. Similarly, my suspicion has been that psychology lies behind the reason why climate change has failed to engage the general public, even though they should be engaged for reasons of self-interest if nothing else. This blog explores the topic of the psychology of climate change denial – with observations and anecdotes about our weird and disturbed response to the problem. It seeks to answer a question that has puzzled me for years: why, when the evidence is so strong, and so many agree that this is our greatest problem, are we doing so little about climate change? I encourage you to go through some of Marshall’s posts. They are not only insightful in trying to understand the apathy, indifference and denial that surrounds climate change but also sympathetic to the soft denialists (the vast majority of the population).